It’s all fun and games until someone breaks out the needles. It was supposed to be a simple retrieval mission. Go in, grab the bespelled package of evidence against some very corrupt superpowers, and get out. The mission turns sideways when a vengeful spy Bix blackballed during her time in Dark Ops crashes the job and injects Bix’s teammates with an unknown toxin. Succumbing to a horrific mutation, the dying spook whispers the Mayday protocol for a compromised covert operation involving a biological weapon. 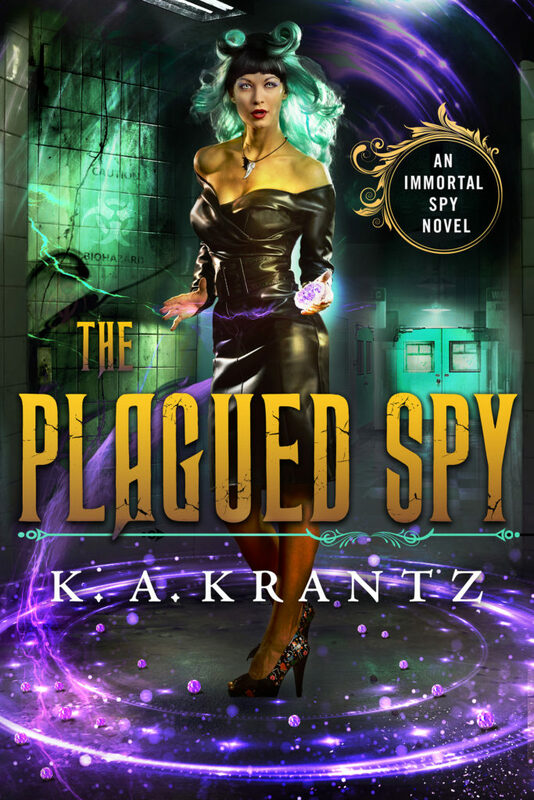 With her friends infected and sequestered in quarantine, a mole inside the spy guild exposing its undercover agents, and the brightest minds in the Mid Worlds unable to identify the biologic, Bix picks up the mission to find the creators and the cure. She’ll square off against Fates, dragons, angels, and even the god of plagues to save her friends; yet the greatest threat might well be the darkness growing within Bix and the evil on which it feeds.